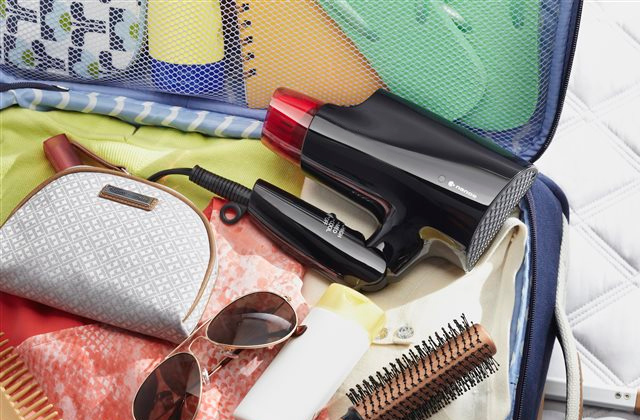 Equipped with a powerful motor, this clipper can cope with just about any hair type and length, cutting easily through both dry and wet hair. The on/off switch is pretty clumsy. Whether you are a professional clipper or a casual user looking for a clipper to cut your own hair, the Oster Fast Feed professional grade hair clipper is surely one of the best options to consider. 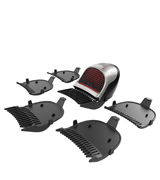 A unique body design, along with the curved shape of the blades, provides comfort and efficiency of each hair cutting session. Clipping around the ears might be a bit tricky. 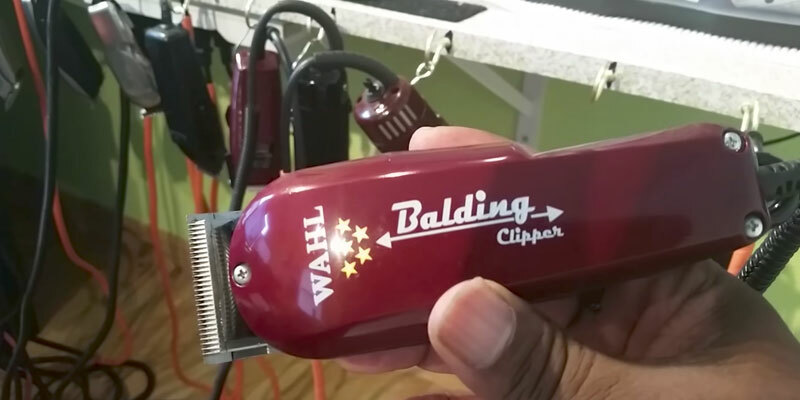 This compact and easy-to-use clipper is probably the best offer out there for home use. 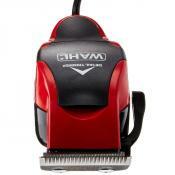 It can tackle large areas in one stroke, reducing time on clipping to mere minutes. 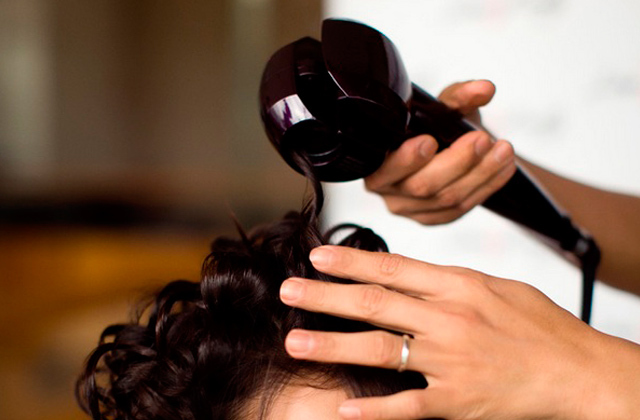 The Turbo button mode ensures incredibly quick results and allows you to use it even on very thick and coarse hair. 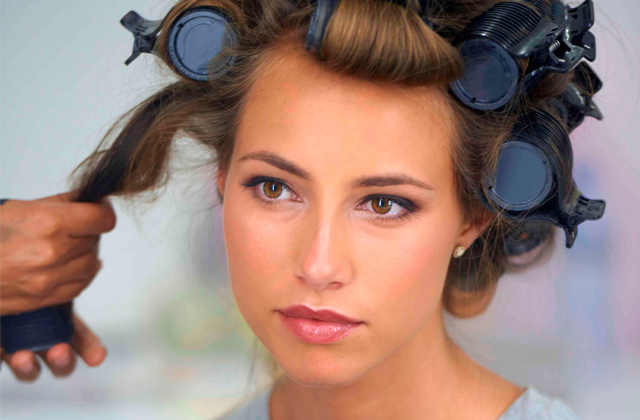 The rich set of attachments gives you a chance to experiment with your looks. Plastic attachments are a bit fragile: you should treat them carefully. 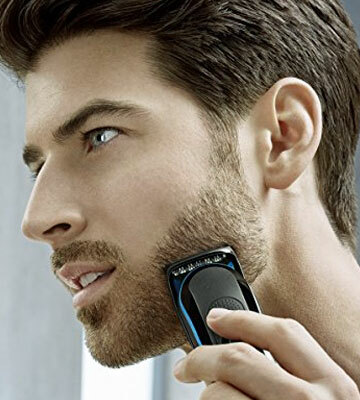 The clipper from Philips is suitable for hair clipping, facial hair trimming, removing hair from hard-to-reach areas and detailed styling. 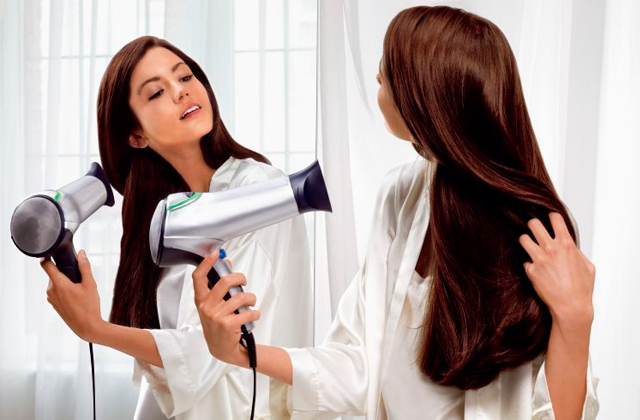 It is a truly all-in-one device for many grooming needs. 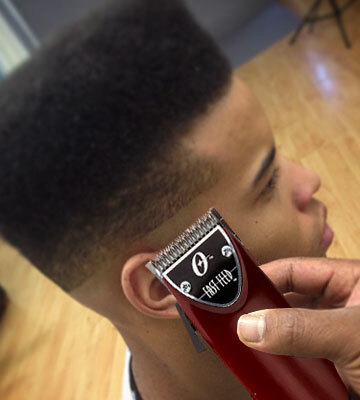 Extremely sharp zero-overlap blades provide the closest cuts, making the Wahl 5-Stair clipper the best tool for professional barbers who need quick and very precise results. To avoid cuts and wounds, extra caution is required. 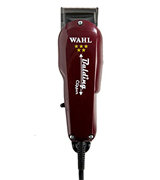 The Wahl’s haircut clipper is one of the best hair tools produced for bald men so far. 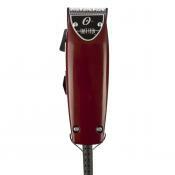 It offers unmatched surgical precision to give a clean shaved head in less than 10 minutes. 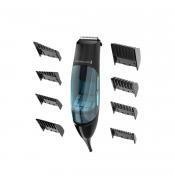 The multi-groomer comes with 6 attachments and 13 length settings for hassle-free personal grooming. 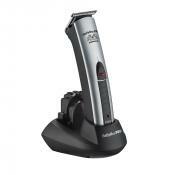 With this ultimate multi-groomer, you will not be limited to the looks that you can have on your head or face. 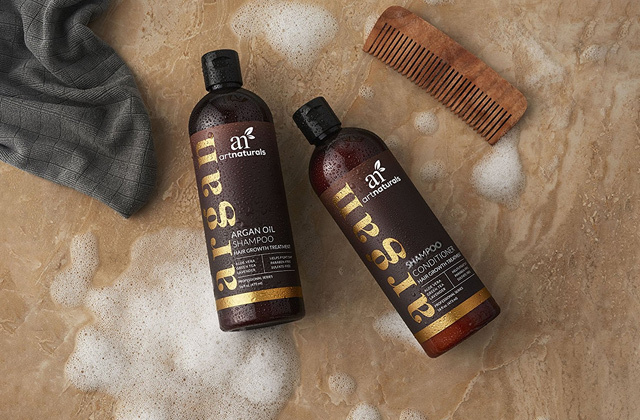 It comes with a bundle of combs and accessories, giving you a complete freedom to experiment and achieve the best results. 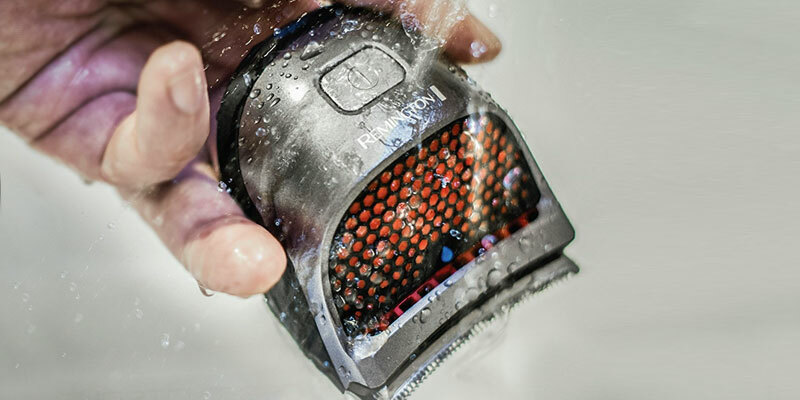 One of the main reasons why professional barbers choose to go for the Oster Fast Feed is that it houses a powerful 12-amp pivot motor that allows it to cut through all types of hair with high precision and in a very short time. 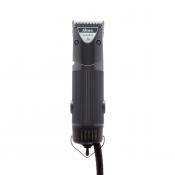 Thus, if your own hair is quite heavy and thick or you're interested in buying a clipper that would be ultimately efficient on all your clients, you can buy it without hesitation. And you will not need to worry about blades sharpening for a long time. Made from high-carbon steel and cryogenically treated, the blades here remain sharp for years, providing the cleanest shaves and the closest cuts. 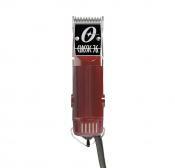 It is not only the motor, however, that makes the Oster Fast Feed one of the most performing clippers on the market. Considering that it works from an outlet, the power here naturally doubles up. 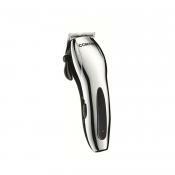 For a user's comfortable use, the Oster clipper has a long 8-ft power cord and an ergonomic handle for a firm grip. 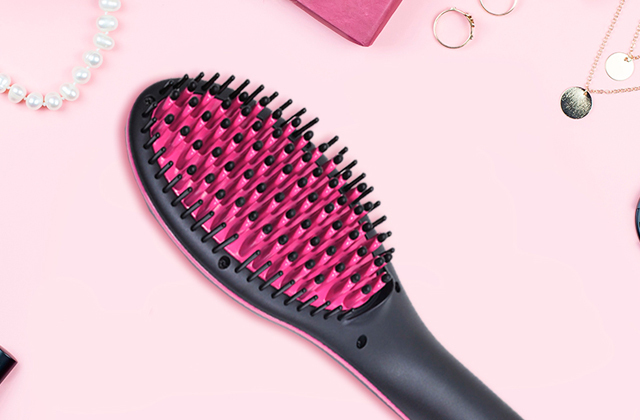 It comes with 3 guide combs (1/4”, 3/8”, and 1/2") and a blending tool. 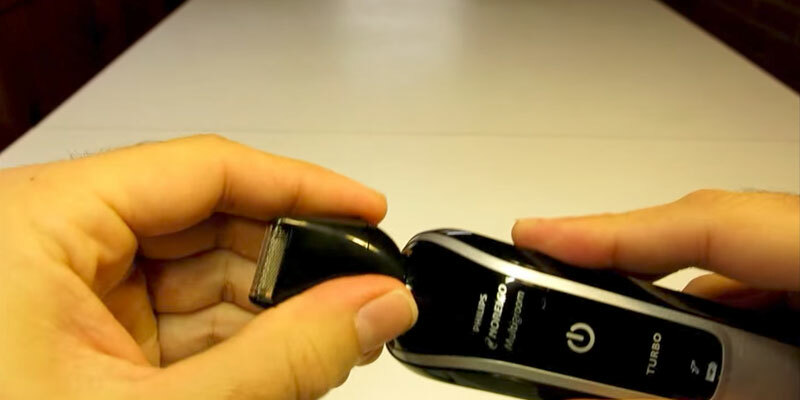 An adjustable blade lever on the clipper allows varying the length settings with one click. All these things considered, you should not have any doubt in quality and performance the Oster Fast Feed provides and go for it now. Cryogenically treated blades for additional wear resistance. i love the T blade, which makes it easier to get around the ears and i do enjoy the bigger, rounder body that fits nicely in my hand and not too heavy. Smooth, fast and comfortable as well as durable...I feel they will last for quite a while! Has 8 foot power cord. 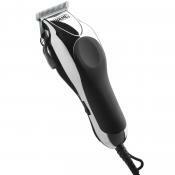 The Remington HC4250 is the leading electric hair clipper for home use. This small cordless tool with a rubber grip fits in the palm of a hand perfectly, making it easy for users to swing it around, reaching the neckline, back of the head and areas around the ears. 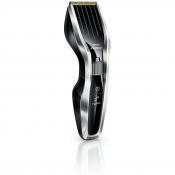 Featuring extra wide curved blades, the clipper contours to the shape of a head, covering a wider area in one stroke. This feature guarantees faster and more consistent cutting if compared to ordinary models with straight blades. 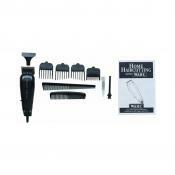 The Remington hair clipper comes with 9 combs ranging from 1/16″ to 5/8″. 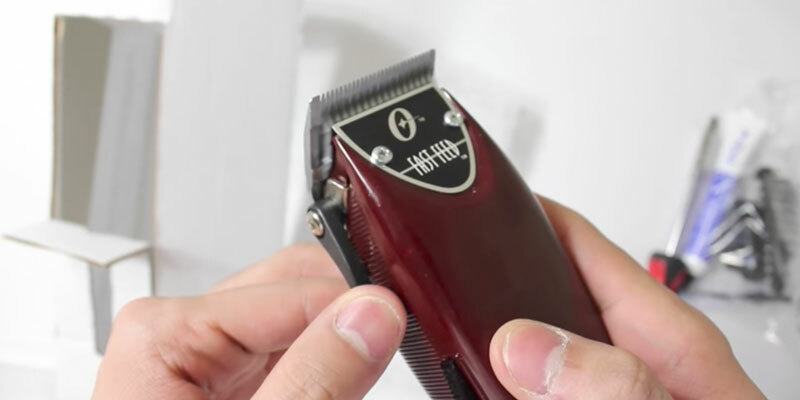 Each comb, just like the clipper blades, has a slight curve to provide precise and accurate trimming and cutting results. As for the battery life, a 4-hour charge provides approximately 40 minutes of continuous use. 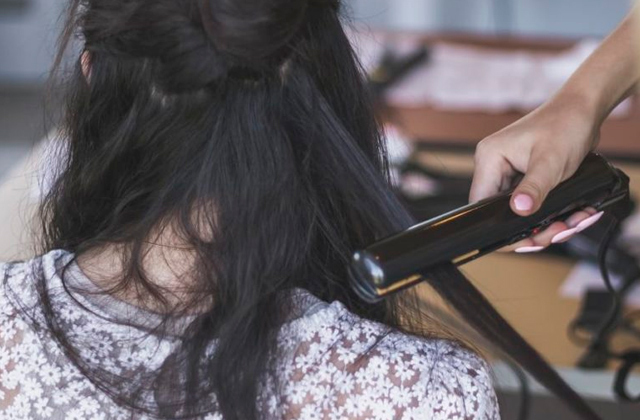 Considering that one haircut can be done in around 5-10 minutes, this should be more than enough to cut the hair on all your family members (and neighbors). The best thing about this clipper, though, is that it's also waterproof. Thus, you can use it safely in a shower and give it a good rinse after each use. It fits perfectly in my hand, has a good grip and doesn't slip while shaving. The wide blade is effective very quickly, though it's a little hard to layer with. But the real fly in the ointment is those guide combs. Cored operation a definite plus. It is great how it can be rinsed with water after use, making clean up much easier. 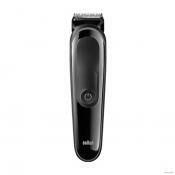 The Philips Norelco 5100 is a great multi-groomer that gives a user the freedom to find a perfect style. This all-in-one tool comes with 7 attachments and boasts 48 integrated length settings to choose from. Use it for hair clipping, facial hair trimming, removing unwanted hair from hard-to-reach areas or performing detail styling and check out girls turning heads when you pass by. 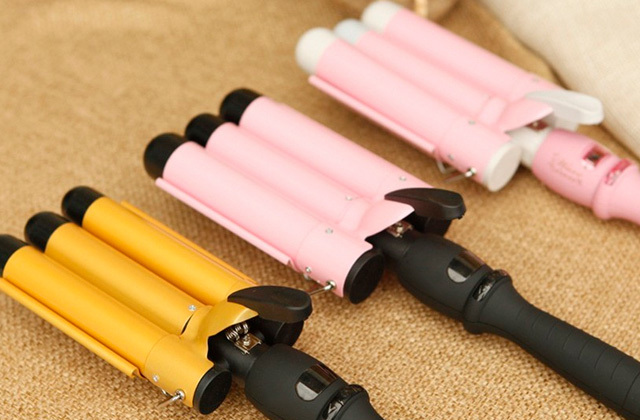 This clipper can be used on dry and thin hair, though tackling thicker hair won't be a problem too; it has a Turbo mode to improve performance and provide quicker results. 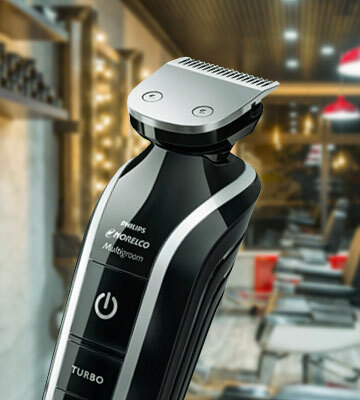 This electric hair trimmer features self-sharpening blades with rounded tips for long-lasting performance and maximally delicate grooming without skin irritation. The blades don't require lubricating, which is a little bit surprising given its 100% waterproof design. 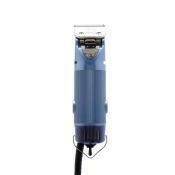 On the other hand, it is definitely not a drawback but rather one of the biggest advantages of this clipper. 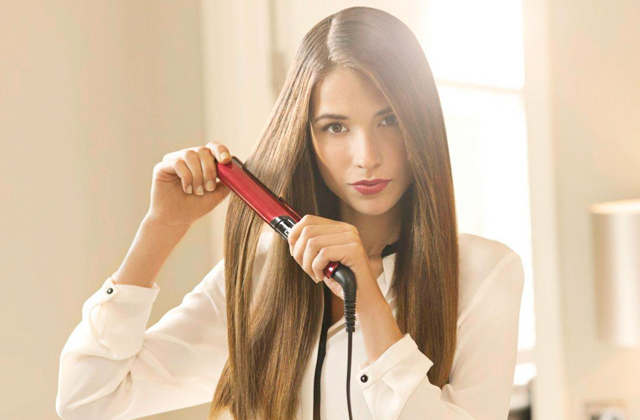 Another thing that makes the Philips Norelco 5100 a remarkable model on our shortlist is that it operates both as a corded and cordless clipper. 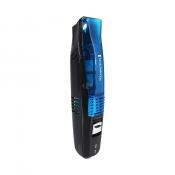 The clipper recharges during one hour and operates for another hour before running out of charge. 1-hour charge gives 60 minutes of usage. It is easy to use because of it's light weight and design. Blades well aligned for a close comfortable shave. The indicator lights do their job well to warn you of low battery and a complete charge. It works with good battery backup. 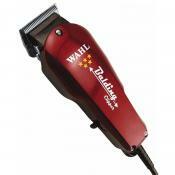 For those who are looking for a balding tool, we'd like to offer to consider the Wahl 8110 clipper. 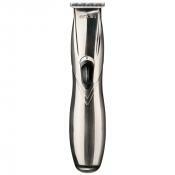 The advantage of this hair clipper for men is its overall simplicity. Equipped with neither blade adjustment levers nor having any extra combs in the can, it is yet one of the best in terms of performance. 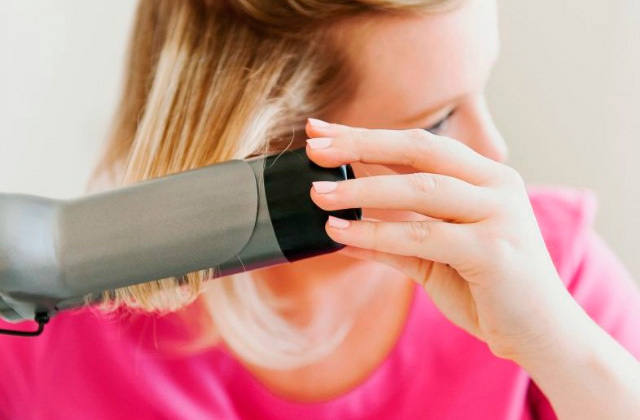 What it does well is removing hair, leaving the head with a perfect bald shade. 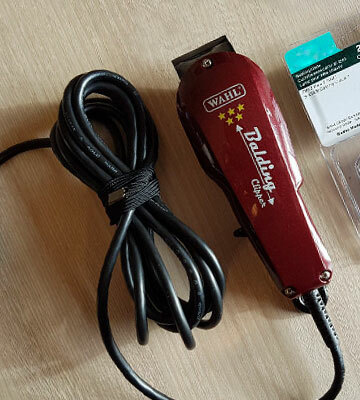 The Wahl 8110 is a corded hair clipper, however, its cord is long enough to give you freedom of movement without causing discomfort. 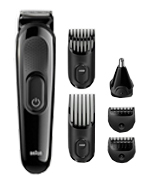 It uses a very powerful electromagnetic motor that outperforms many other motor types by speed cutting twice as fast and yet, it is almost noiseless in operation, which makes it perfect for close-cuts and shaves. Ultra close cut that almost looks like you used a razor. light weight and very easy to use. Good strong motor, Does what it's supposed to do - shave close and quickly - recommended. The cord is flexible and long enough to stay out of the way while working. The Braun Multi Grooming Kit is the ultimate tool every man should have in a bathroom. 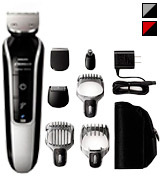 It comes fitted with 6 different attachments to provide users with multiple options and satisfy various grooming needs. 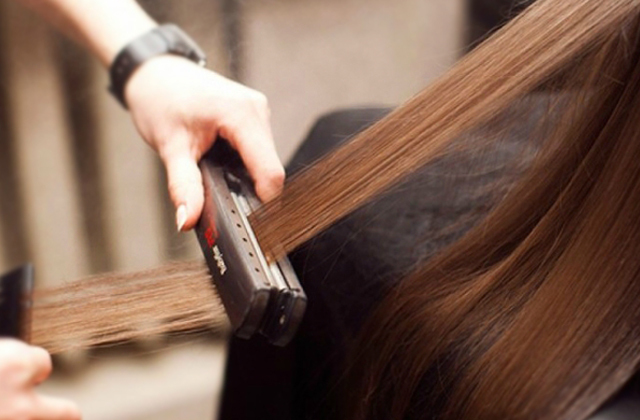 The length settings of the combs vary from 0.5 to 21 mm, allowing you to experiment with the looks and hairstyles. The Braun Multi Grooming Kit boasts self-sharpening stainless steel blades that not only ensure precision of cutting but also never get dull. 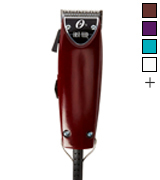 The battery life here is similar to that of other cordless men's clippers, making 40 minutes. Recharging it, though, will take you considerably longer, up to 10 hours. Thus, if you plan to cut your hair but worry the battery might already be running out of charge, leave it to charge overnight and get it ready by the time you need. This also means, unfortunately, this kit isn't suitable for salon use. However, for men who don't need to cut their hair every day, it will surely be a good bargain. Precise trimming without pulling and tugging. The blades to have stayed very sharp, there is no drop-off in battery life, and this thing is durable! It feels light weight very quiet... Easy to hold. Pathetic little motor that simply doesn't cut. 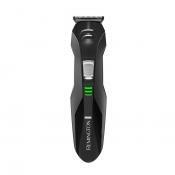 It also comes with a rechargeable battery with enough power for a 40 minute shave in a 10 hour charging time. 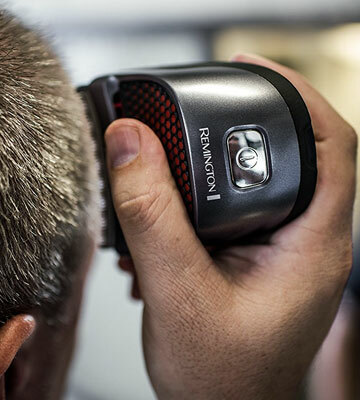 What are the Best Men's Hair Clippers? 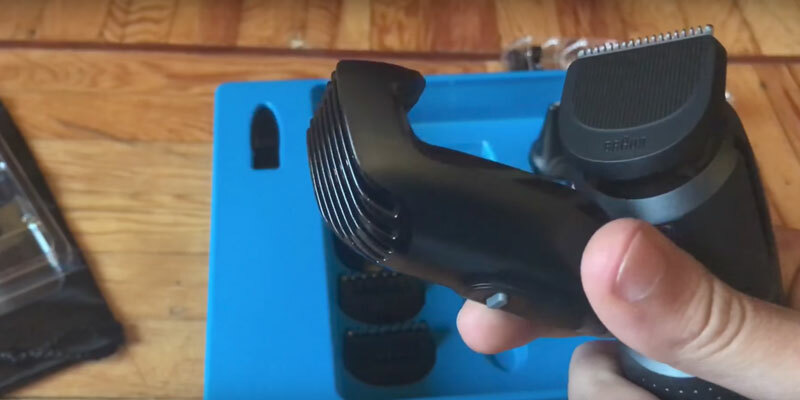 Long gone are the days when hair clippers were used only by barbers and only in specialized shops.Today, anyone can go online and purchase a clipper to use at home. 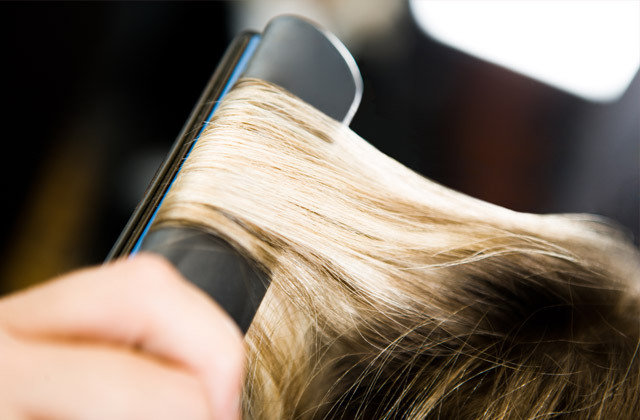 However, before you do so, we recommend you to consider your hair texture, its length and what type of tasks you’d want the clipper to perform. 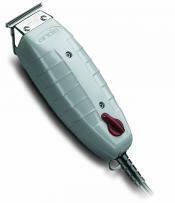 Hair clippers may come in various designs and possess many different features. 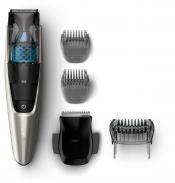 For this review, we’ve decided to make a selection of 5 best clippers suitable for men. Thus, here you will find models with different combs and attachments for close cuts and clean shaves, for facial trimming and for detailed styling. 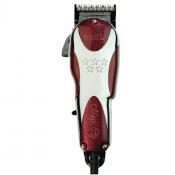 Depending on your needs, you may choose cheaper or more expensive professional men’s hair clippers. We’ve got them all here. For your convenience, we’ve also covered some of their most remarkable advantages so that you could compare them with the rest and make your choice. For daily needs, however, you could consider using an electric razor. 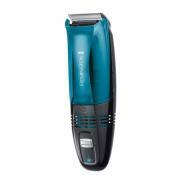 Smaller in size than a clipper, it offers a good set of attachments for minor trimming needs.